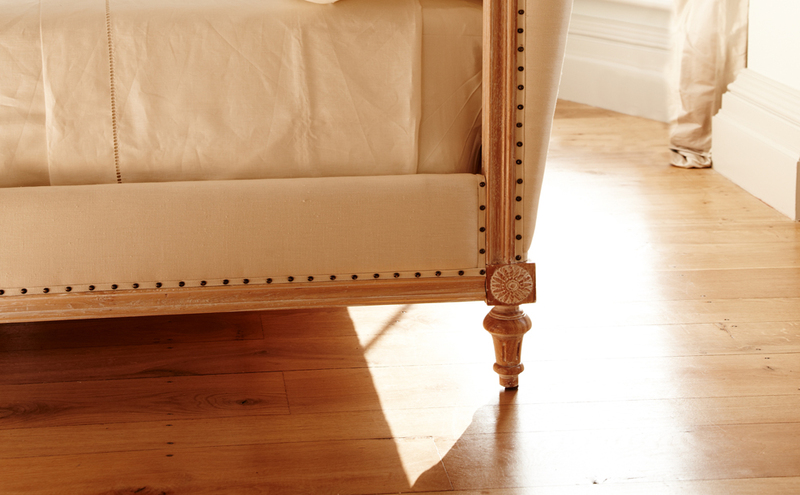 Contemporary bed with classic influences. 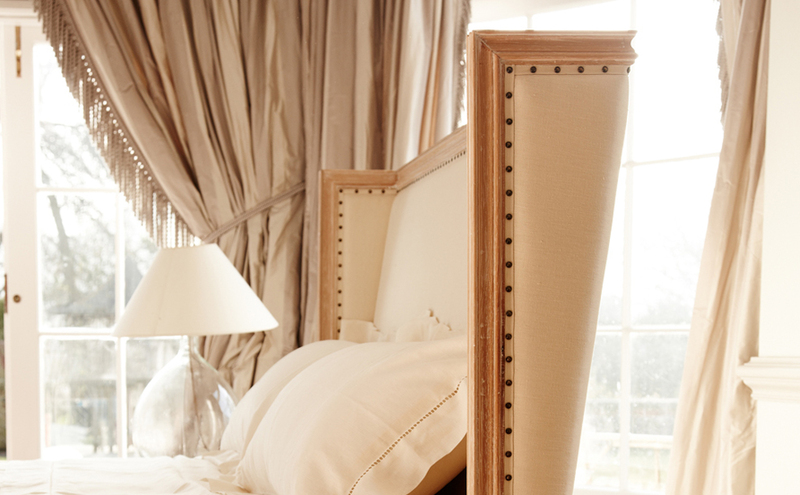 A stunning contemporary bed which manages to combine the traditional detailing you might find in an Italian villa with a modern shape. 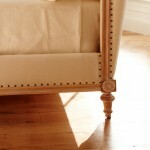 Upholstered in cream linen with a solid oak frame, studded and carved to enhance the design. Sign up to our Newsletter and be the first to get updates of our Sales and News as it happens.